WW1 photographs and memorabilia from the collection of Mrs. B Peacock relating to Bombardier Arthur Harry (Harvey) Kennewell, who survived his service with the Artillery in WW1. 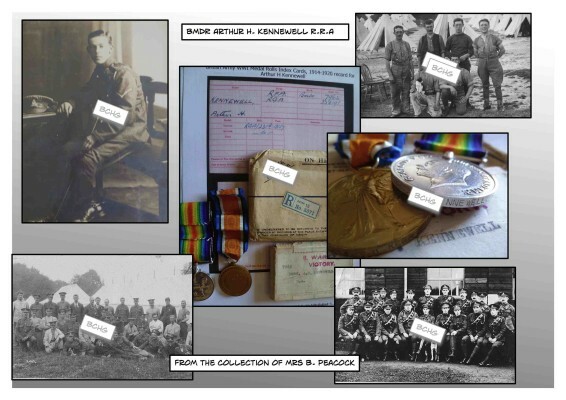 His service biography is also available on this site: Bmdr Arthur Harvey Kennewell. 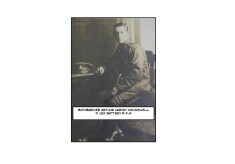 Arthur Kennewell was the brother-in-law of Bill Sutton Snr. 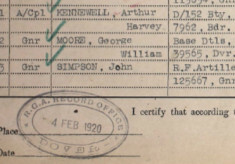 who also served in the 1st World War and also survived. When Arthur Kennewell’s medals were issued in 1920 he was listed as having served with D/152 Battery of the R.F.A. with the rank of ‘A (Acting) Corporal‘. 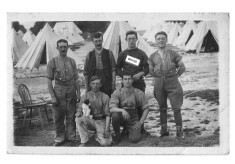 This was part of the 47th Brigade RFA formed as part of the 1st New Army (K1) . This brigade was originally comprised of numbers 151, 152 and 153 Batteries RFA and the Brigade Ammunition Column. It was placed under command of the 14th (Light) Division and went to France with it in May 1915. On 6 October 1916, A, B and C Batteries all increased to six guns when joined by sections from 49 Brigade. The same happened to D Battery on 8 January 1917 when a section joined from 48 Brigade. (details from the Long, Long Trail – https://www.1914-1918.net/rfa_units_47.html).